Let us start by saying that when it comes to investment banking, there is no one-size-fits-all career path. This is true particularly with regards to one’s background; it is a common misconception that you have to be a finance or business major to land an investment banking job. Some even believe the myth that an MBA is needed to break into Wall Street. However, prospective investment bankers come from all sorts of backgrounds, and with some proper financial modeling training, they can still rise up to the very top. Having said that, there is a ‘typical’ investment banking career path involving several positions you’re likely to go through once you end up at an investment bank. Analyst is the title given to the most junior employees at an investment bank. This position is typically available for students straight out of college and f or that reason it is common for analysts at major investment banks to start their employment with several months of investment banking training. One way to move closer to landing a position as an analyst is by securing an investment banking internship first. A lot of investment banks recruit analyst interns who are placed in a team where they can expect to do much of what a full-time analyst does. Once you actually start working as an analyst, much of what you do will be mundane work such as preparing PowerPoint presentations, working in Excel, writing e-mails, making phone calls and taking care of random tasks. Brace yourself for grunt work and long hours. Assuming you do well, in about one to three years you could expect to move up the ladder. JPMorgan for instance has placed the duration of its analyst program at two years, as noted on the bank’s website. Experts say that if you have not made the jump after your third year, chances are that you will leave the bank – either voluntarily or not. Associates are usually analysts who have moved one step up, or students recruited out of MBA programs. The work that you will do as an investment banking associate is somewhat similar to that of the analyst. In addition, you can expect to serve as a liaison between junior and senior bankers, and supervise and assist analysts. In some cases, you might attend client meetings or even work directly with clients. Or, as Goldman Sachs have noted in their associate position job description, “you will be exposed to transactions in many areas […] all the while developing banking and managerial experience that will prepare you for senior deal management”. The time which has to pass before you actually get to senior deal management, however, largely depends on the bank with the minimum considered three years. Goldman Sachs for example expects you to move up the ladder in three and a half years. It is also worth noting that with the associate also being an entry-level position, investment banks have internship programs for associates which will not only help you learn the tricks of the trade, but could also get you a permanent position provided that you demonstrate potential. The first senior banker position that you could hope for is that of a vice president. The tasks of the VP include monitoring the work of junior bankers, i.e. analysts and associates, and making sure that they deliver what the top management wants. Once you rise to a senior position, you can expect to get much more interaction with clients and focus on building relationships and winning new business. You will probably spend between three and four years at the position before moving up, although you might advance more quickly depending on your performance. The role of the senior vice president can be described as a mix between the responsibilities of the VP and the Managing Director. Depending on the bank, you could either focus more on execution and project management work, or work more toward developing relationships with clients and winning new business. While it is difficult to point the exact number of years which you can expect to spend at the SVP position, three years sounds about right. It is important to note that at some banks the SVP and the Director are separate positions, while in other cases those positions have different names altogether, for example the VP might be called Director, and the SVP – Executive Director. 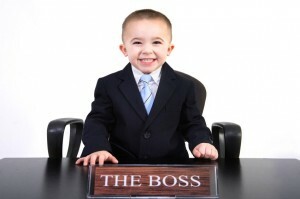 The Managing Director position marks the top of the food chain. You can expect to spend most of your time winning clients and developing relationships. Your main responsibility will be to bring new business to the bank while everyone else below you delivers and tries to make you happy. If you end up working for a boutique bank rather than at a bulge bracket institution, you are likely to move up the ladder more quickly, especially since boutiques tend to have fewer levels. On the downside, as you might expect, chances are that your pay package won’t be as attractive given the smaller size of the deals those banks tend to work on.